The most advanced offline music player app yet. Musicana is an innovative, ad free music player app with superior 5-band equalizer, lyrics finder, fast song recognition & much more features that will give you an always-impressive music listening experience – everything you ever wanted in a music player app. Not to mention the flawless UI & visually stunning customization features. This music player is sophisticatedly beautiful, super-fast and extremely enjoyable. It has many advance features that other music player fail to provide and it is arguably the best all-in-one music app. Use Musicana as your advanced ad free music player app. Play music locally and listen to music from within your device. Our free music player features a fast lyrics finder within the app while you listening to the song. Stop browsing for lyrics separately! 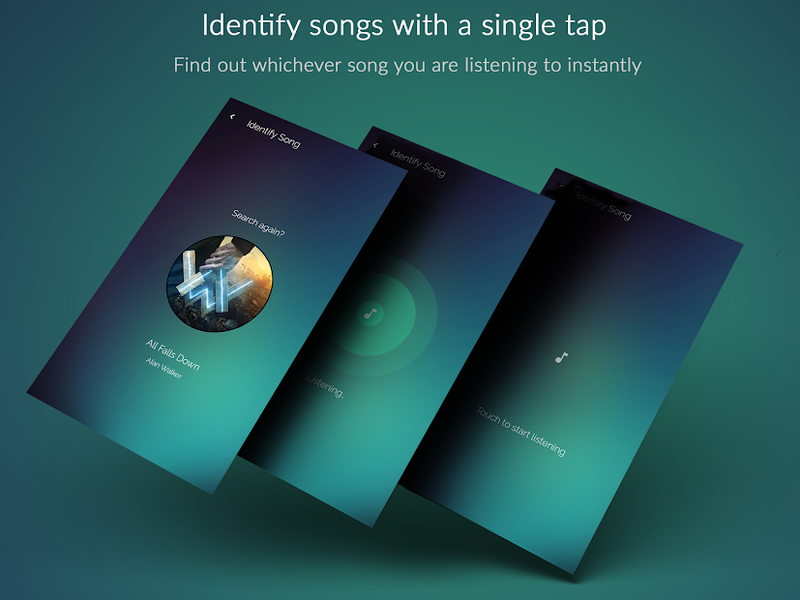 Amazing music player & song recognition tool in one! Sounds too good to be true? Well, Musicana is that and much more. This music player is packed with a 5 band equalizer that will enhance your music listening experience further. This equalizer comes with custom presets, reverbs and a powerful tunable bass that will change the way you listen to music. Along with these features, this music player provides custom background settings that will allow the user to change the background of the app to any image of their choice. It simply looks breathtaking. Pick your language in one of the rare music player apps that offer Multilanguage support! ☑️ Trouble identifying song? Well, Musicana solves that problem for you. ☑️ Browse your songs by folder. ☑️ Multi-select feature available to play,delete and queue songs. ☑️ Easily sort your favorite songs in more than 5 ways. ☑️ Drag and drop support to re-arrange your playlist or playing queue. ☑️ Pull-up navigation for smooth and quick music playback. ☑️ 4 cool Now playing screens. 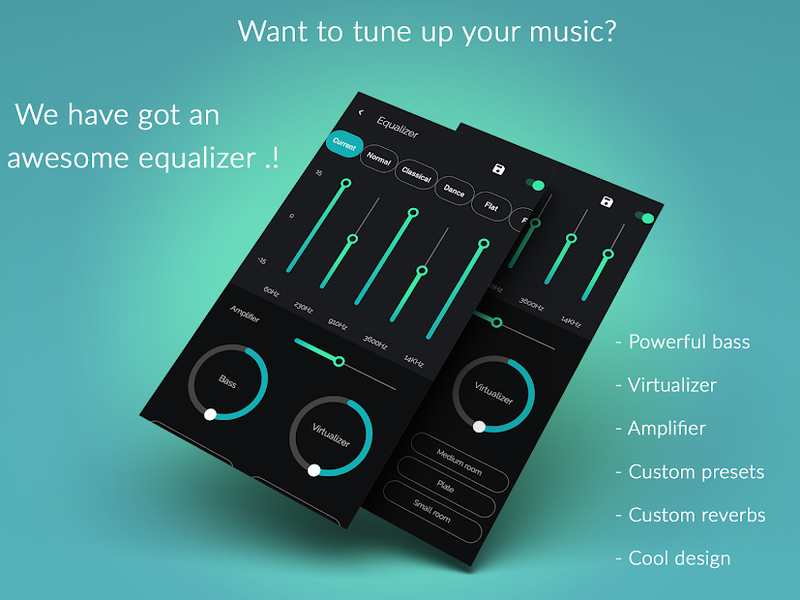 ☑️ Provides you with a 5- band equalizer with Bass Boost, 3D Reverb Effects, Virtualizer and several presets. ☑️ Duration filter to filter out small useless audio clips. ☑️ Sleep timer - let the music player sing you to sleep. ☑️ Auto- download high-res album arts. As one of the best mp3 music player & best music player app, expect the most amazing features.You’ll be surprised of how well this intuitive audio player and music player can perform while offering amazing set of features. We will be constantly updating the UI and providing new features. Try once, and we are sure it will become your favorite music player app!